Okay, so we all know that car thievery exists. 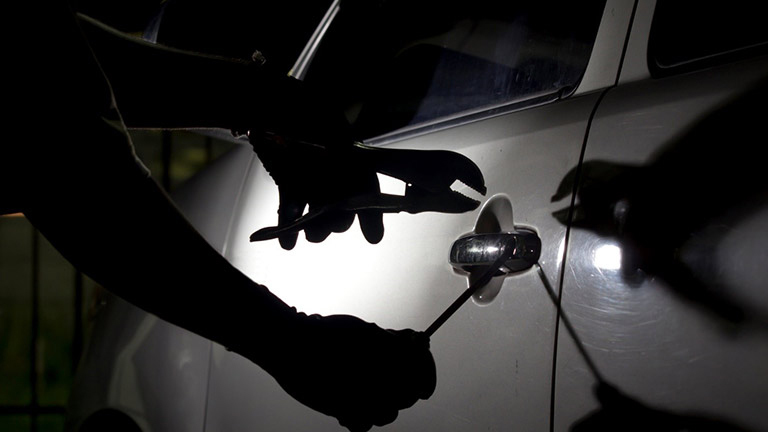 Despite technological advances in vehicle security car theft remains a big problem in the UK, with almost 70,000 cars reported as stolen in 2015 alone. This in due in part to the sheer number of cars on UK roads, however it can also be attributed to the growing sophistication of car thieves and the technology openly available to them via the internet. So, what can vehicle owners do to protect their vehicles and wallets against the 21st Century car thief? This might strike you as obvious, however car owners continue to leave valuables such as phones and sat-navs in full sight whilst the vehicle is unattended. Although this may not deter thieves who are targeting a particular vehicle type, it may attract the attention of more opportune thieves who happen to be passing by - even leaving a charger in view can suggest that accompanying tech is also in the vehicle. We have all fallen foul at one time or another of leaving our vehicle unlocked, whether accidentally or only for a short duration. Don't chance it! Take a few extra seconds to check the car is secure before departing. Parking your vehicle in a well-lit built up area is likely to put off the majority of thieves looking to operate away from prying eyes. If this isn't possible or practical, try and park your vehicle in the vicinity of CCTV cameras or a pedestrian thoroughfare as professional carjackers aren't likely to operate in these areas. Although they can be an annoyance to use, particularly when parking your vehicle for a short period, a steering wheel lock is a great deterrence. Although not impossible to overcome, they're an added and unwelcomed complication that would put off many hardened thieves. 1. The Good Samaritan - This is where a group of scammers stage a breakdown or accident and flag for assistance from passing vehicles. Once a passer-by stops and the Samaritan exits their vehicle, a thief then jumps into the unattended vehicle and drives away. TIP - If you do happen to stop to help another motorist or pedestrian, make sure you shut off your engine and take the keys out the ignition. This could be enough to put some carjackers off as it prevents a speedy getaway. 2. The Bump and Grab - In this example the carjacker, driving in a vehicle behind yours, will make light 'accidental' contact with your car in order for you to pull over to inspect the damage. Whilst distracted inspecting your vehicle the carjacker then makes off with your vehicle and leaves theirs by the side of the road. TIP - If hit from the rear by someone driving a rundown vehicle be extra vigilant. Most carjackers involved in this sort of activity will use a car worth next to nothing as they abandon the vehicle at the scene. It may be easier for thieves to target your keys than your car, (but that kind of makes stealing your car pretty easy). Be wary of leaving your keys on tables in bars or restaurants, or visible in unattended clothing and bags. When at home, don't keep them too near to your front door when you lock up at night as there are numerous cases each year of cars being taken by enterprising thieves who have "fished" car keys through letter boxes.